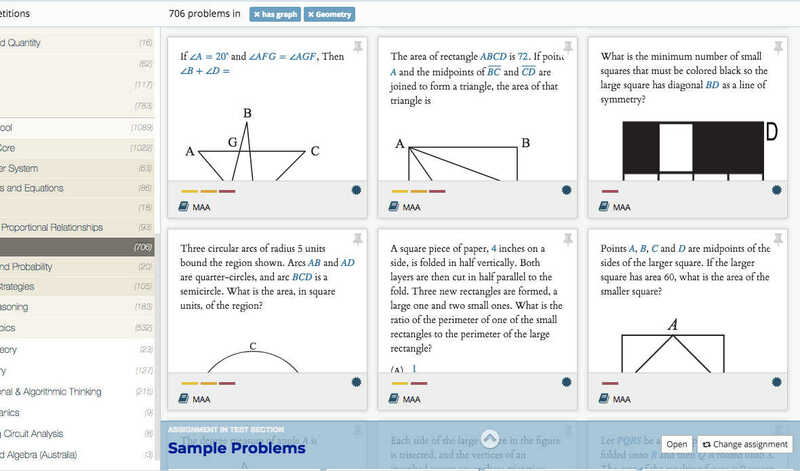 Edfinity provides WeBWorK-compatible, OER homework mapped to dozens of courses and textbooks. Remix over 50,000 interactive problems. If you are an OER author, increase adoption with interactive problems aligned perfectly to your book chapters. Edfinity is a hosted, full-featured homework system that runs WeBWorK problems on any mobile device or laptop. Select a WeBWorK course from our catalog, or build your own. Pair it with any OER or textbook you like. Customize and share with your colleagues and the global community. Harness the power of WeBWorK. Access over 35,000 problems, including those from the WeBWorK Open Public Library (OPL), a collection spanning a wide range of math and science subjects. Easily narrow your search by subject, textbook, keywords, difficulty, and more. Author new WeBWorK problems or edit existing ones. 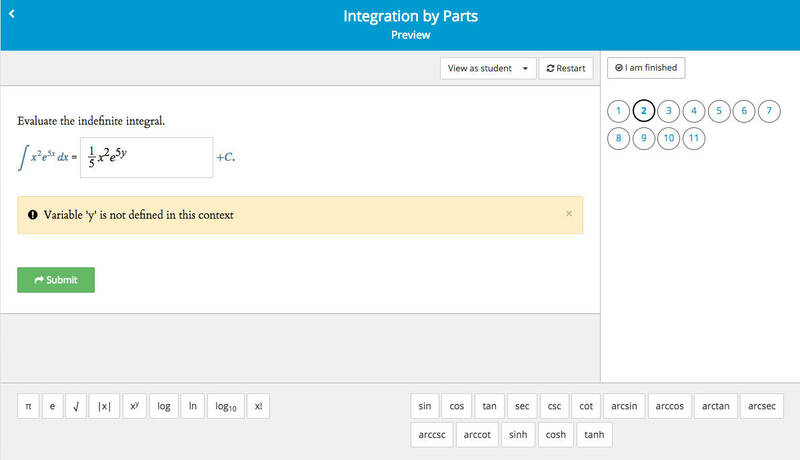 Edfinity seamless integrates with WeBWorK to provide your students rich, math-aware assessments. 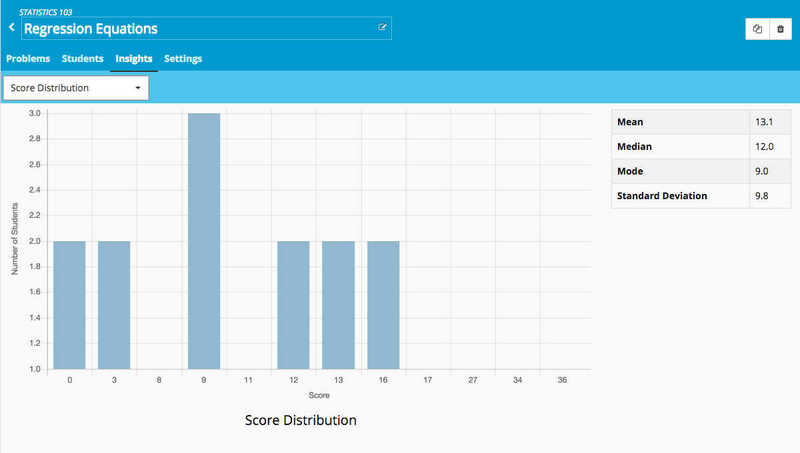 Monitor student progress and performance. Study assessment metrics and drill down to identify trouble spots. Engage students in real-time with problems and observe their responses, gaining instant insight into student understanding. Create a course and invite students to join. 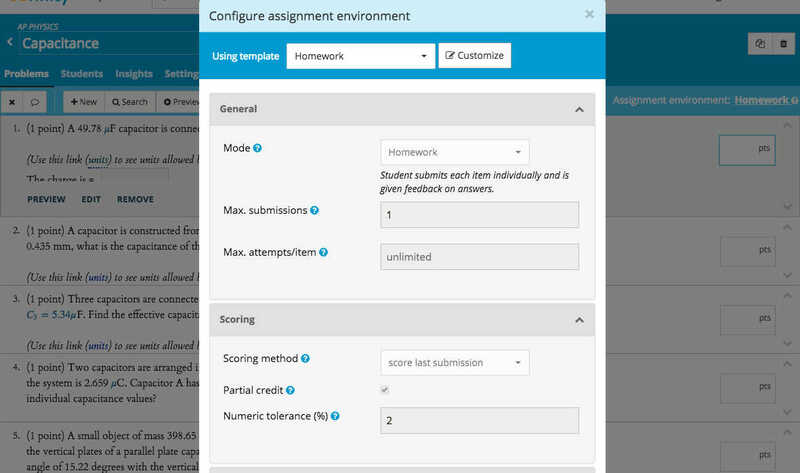 Assign problem sets to students, setting availability and due dates. Easily customize for homework or tests. Personalize feedback, number of attempts, hints, and much more. How does Edfinity differ from WeBWorK? Edfinity is a full-featured, collaborative homework system that works seamlessly with WeBWorK, allowing you to use any WeBWorK problem. Edfinity requires no installation. What kind of problems and courses are readily available in Edfinity? Edfinity provides ready-to-go homework courses mapped to leading OER textbooks, and easy-to-assemble homework for any textbook or course. Browse our catalog. How much does Edfinity cost? Edfinity is free until Aug 2019 for all users, and at least until June 2020 for MAA-hosted webwork users. Thereafter, student paid subscriptions cost as little as $2/student/month with additional subsidies for departmental subscriptions and public institutions. Edfinity is indefinitely free for rural high schools and tribal community colleges. Choose any course from our catalog to use as-is or modify, remix to suit your needs, or make your own course. I am an existing WeBWorK user and would like to import my course into Edfinity. We can typically do this in less than a day. If you have an existing WeBWorK course you would like to import, contact us and we will help you with the initial setup. We will need your problem set definition files along with any custom problem definition files if you are using problems outside of the OPL.